The #FootballPeople small grants are back for 2018 to support projects across Europe in and around Europe's largest series of social interventions in sport. Grants of up to €500 are now available for organisations to apply and organise activities that promote diversity and social inclusion at a local or regional level, between 11-25 October. In 2017, 2,300 activities were organised during the #FootballPeople weeks in 62 countries. A total of 114,000 people took part in the campaign. This year, you can be one of them! 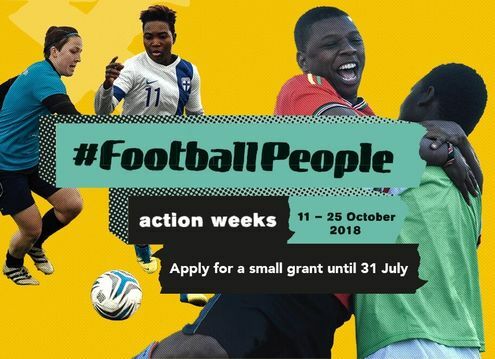 Apply between now and 31 July to benefit from a small grant and be part of this international #FootballPeople movement. The online application form is availiable here.